Experience and create public spaces where people want to walk, bike and play! Open Streets Corvallis is a joint initiative of Corvallis Bicycle Collective and City of Corvallis Active Transportation Program. The Eclipse Rides Through Corvallis was a neighborhood-led street mural project on the event route at 11th + Taylor. Video credit: Skyler Anspacher of Skyward Visuals. On August 20, 2017, 2,000 people walked, biked, played, and otherwise moved through a mile plus of city streets between Garfield Park and Franklin Square. 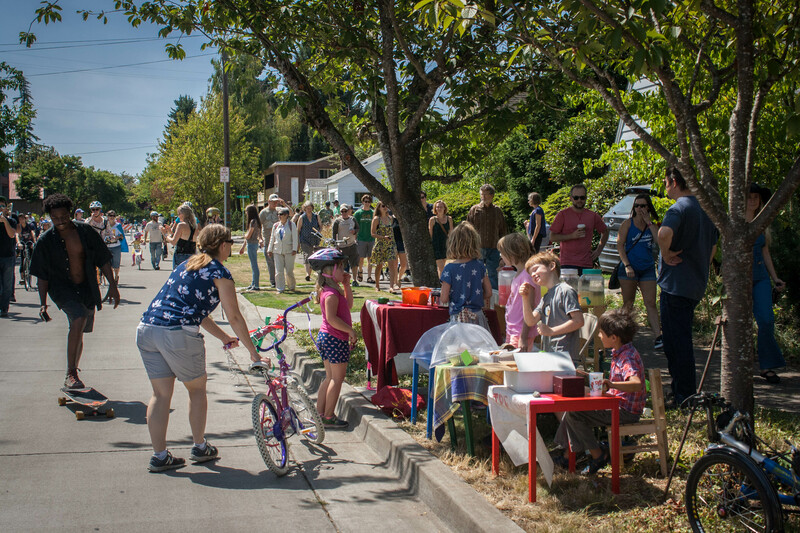 Highlights include a Neighborhood Bikeway with Healthy Street features, bicycle-powered carnival rides, local music and food, and free exercise classes in the parks.